WOW Woman Radhika Shastry, one fine day decided to leave behind a high profile corporate job to pursue her dream. Café Diem has always been her dream and when she got an opportunity, she never looked back. 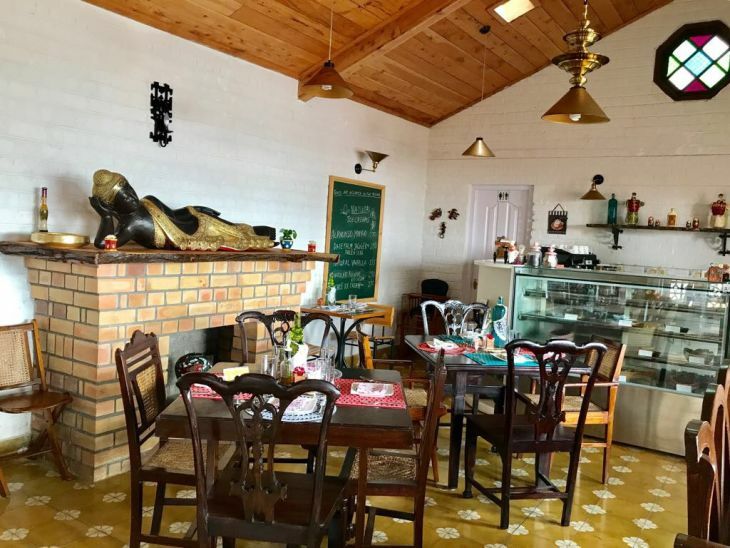 Situated in Coonoor with lovely panoramic views of the Nilgiris, Café Diem is just the perfect place to sip a cup of hot cappuccino along with delicious savouries. Since January 2017, Café Diem has been the most lovable destination for residents in Coonoor. Splashed with her personal touch, the café is one of the lively place in the otherwise silent hill station. Radhika has always been interested in baking and cooking and that gave her the confidence to start a café on her own. She has been an avid traveler and has travelled to South America, New Zealand, Portugal and Uzbekistan among other places. Her quest for knowledge and her urge to grow in different spheres of life has always brought the best out of her. She has also authored a coffee table book on the Kumbh Mela in Allahabad and Ujjain, where she had previously travelled. According to her there are a couple of reasons why she wanted to build and start a café. One was that her yard and garden was available and had a breathtaking view of the Nilgiris. Secondly there weren’t many places for visitors and locals to enjoy a meal in Coonoor, specially for vegetarians. Moreover her interest in cooking and baking led to the inauguration of Cafe Diem and made it into a “Must Visit Place” in the Nilgiris. Her firm belief in herself, her passion for life and work led her to etch the name of Cafe Diem in the otherwise silent hill station Coonoor. She believes her attention to detailing and thinking from the customer’s point of view has been a big part of her strategy in building the cafe. When asked about how a particular day in Cafe Diem looks like, Radhika answered – “ We are open for our patrons from 11am to 6pm – all days except Wednesdays. Of course our day begins at 9.30am and goes on to about 7-7.15pm. My customers tell me that they love our savoury tarts and lemon tarts, our pumpkin soup is hugely sought after and our mango avocado salad is a sell out. The thin crust pizzas with a smoked bean curd topping and one with ratatouille topping are favourites. Our whole wheat multigrain and rosemary and chilli flake breads are other hot sellers. The nolen gur or date palm jaggery ice cream and salted caramel ice creams are sought after. All this makes you want to drop in at Coonoor, doesn’t it!